WordPress medical health service themes are perfect themes for hospitals, dentists, doctors, and family practitioners in any health and medical related services. As a practionor or clinic, you don’t have the time to mess around with all the technically mumbo jumbo of setting up and managing your site from A to Z. 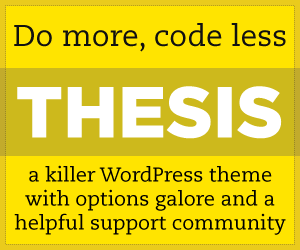 Therefore, these powerful and secure themes are beautifully designed and built for you and your clients. Very quick and easy to set up with the WordPress backend, we have selected some of the best new releases of WordPress themes related to health services. These themes are dynamic – fit for any healthcare related fields and operations, from big to small – and with enough power to create some beautiful and the most user friendly sites. Backed by awesome authors for the themes, you can be assured that they will help you with any theme specific issues during setup but don’t worry, they all have easy demo setup so your site can be up and running in a snap without too much hassle. The Styler is the most stylish of WordPress themes to power your Beauty & Health business. The theme is specially crafted to be 100% pixel crisp on all retina screens. The Styler features Customizer settings, you can upload branding material, set up your layout, configure your blog. In addition, you have flexible layout for your video, image, slideshow, galleries or personnel listings. Powerful Widgets support for displaying any kind of content. The Styler allows you to design every single aspect of your new website exactly as you’ve imagined it. Mentor is a personal development Coach WordPress Theme, mainly suitable for people who offer personal development, such as mentors, coaches, trainers, therapist, training, Speakers or other profession who needs a personal website. Mentor comes with modern and clean design, focused on conversion, created graphic elements for people who offer personal services such as calendars, personal development graph or elements, appointment booking function, working contact & subscribe form, and the theme is compatible With Woocommerce. Mentor helps you to have unique user experience and present yourself in the awesome way. MyMedic is a health-related services WordPress theme, especially designed for clinics, hospitals, doctors, and nurses. The theme has been created just for you to promote your own abilities online or publicize the services you offer. With responsive features grid your visitors can see exactly what you have to offer, as soon as they arrive at your site. Homepage Animated Slider to display your best content, most important information, and other essentials. By using the staff and team member profile publisher, you can easily highlight the people that make your business great. The feature that can help you stand out from the competition. Health Center is Responsive Medical WordPress Theme suitable for hospitals, dentist, doctors, surgeons and similar health organizations. Health Center is packed with some powerful plugins such as Timetable Schedule, Event Calendar, Drag & Drop Builder, Revolution Slider and many more. Health Center is fully integrated with WooCommerce that allows listing and selling your medical products online. I liked the themes you shared. Thank you for helping us. I have found one more that is imDoct. It has very amazing features.